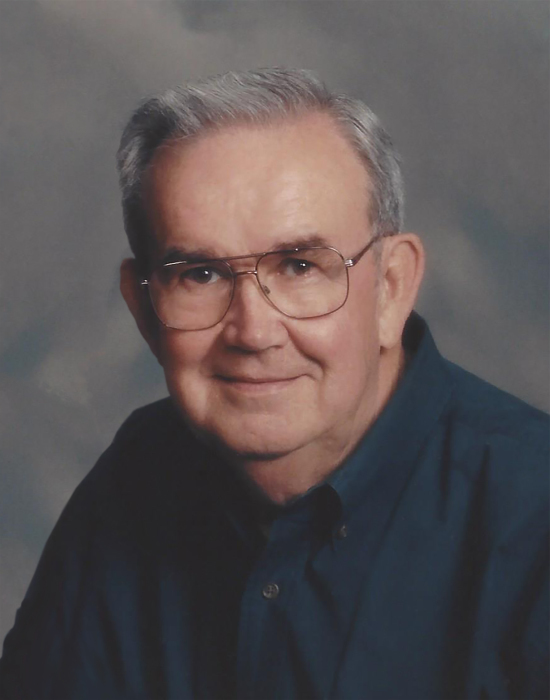 Lemuel (Lem) H. Tull, age 85, died peacefully, Thursday, January 31, 2019 at Mercy Hospital in Rogers, Arkansas surrounded by his family. Lem leaves his wife, Margaret Ann (Kennan) Tull; his daughter, Melissa Johnson(Christopher), his son, James (Jim) Tull (Jennifer); his grandchildren, Adam Johnson, Andrew Johnson, William Johnson, Ashleigh Tull Pargeon, Keifer Tull, Madison Tull and his great grandchild, Braelyn Tull. He also leaves his sister, Dorline Bradford; his nephews, Vic Bradford (Susan), Steve Kennan (Pam). Lem was preceded in death by his parents, Lilburn and Arkie Tull; his mother-in-law, Emma Kennan; his brothers-in-law, Bobby Bradford, Burnie Kennan, and his nephew, Scott Bradford. Lemuel was born in Lonoke County on April 18, 1933 to Lilburn and Arkie (Autry) Tull. He lived in Keo, Arkansas until 1944, when his family moved to Sylvan Hills where Lem attended North Little Rock High School. Lem graduated from the University of Arkansas with a Bachelor of Science in Civil Engineering in 1958. He was a member of and served as president of Sigma Pi Fraternity. He was an honorary member of Chi Epsilon, and was a Registered Professional Engineer in Arkansas and Missouri. In 1983, Lem was inducted in the Arkansas Academy of Professional Engineers. Lemuel served in the U.S. Army from 1956-1958 at Ft. Belvoir, VA and in the U.S. Army Reserve until 1962. Lemuel married Margaret Ann Kennan of Rogers in 1961 in Little Rock, AR. They had two children, Melissa Ann and James Lemuel. He was a devoted husband, father, and grandfather. He was delighted when his daughter’s family returned to Rogers in 1991, and his son returned to Rogers in 1993. He loved being with his family and watching his grandchildren grow up. Lemuel worked for the Missouri Highway Department before serving in the U.S. Army but returned to Arkansas to work as a bridge design engineer, assistant resident engineer, and resident engineer for the Arkansas Highway Department. In 1963, Lem and his friend, and fellow engineer, Bob Crafton thought that Rogers had great growth potential and made the decision to leave the Arkansas Highway Department and move their young families to Rogers to start a civil engineering company. At Crafton and Tull Lemuel served in various roles including CFO, COO, CEO and Chairman of the Board. During his thirty years of service the company grew to over ninety employees merging with local firms to include architectural services. Lemuel believed in the future of Rogers and made a strong commitment to community service. He served as a member and Chairman of the Rogers Board of Adjustments for many years. He was Vice Chairman of the Northwest Arkansas Regional Planning Commission, and served on the Rogers Airport Commission. He also served as Chairman of the Rogers United Fund, and was on the Board of Directors of the Rogers Chamber of Commerce, the Board of Directors of F&M Bank and First Commercial Bank. In 2004, Lemuel was honored with the Rogers Chamber of Commerce Good Neighbor Award. Lemuel was a Charter Member of the First United Methodist Church where he served on the Finance Committee and the Board of Trustees. Lemuel felt it was important to be a man of your word and to do everything honestly and fairly. He valued his friendships and those who knew him well appreciated his character and sense of humor. He enjoyed sharing a joke, playing golf, traveling, and spending time with friends and family. He had a sweet smile and a big heart. Visitation will be held from 5:00PM until 7:00PM, February 7th at Stockdale-Moody Funeral Services in Rogers. A memorial service in celebration of his life will be held at 1:00PM, Friday, February 8th, 2019 at First United Methodist Church in Downton Rogers. In lieu of flowers, memorials may be made to the Crafton Tull Foundation which gives grants to local charities and scholarships to area youth, First United Methodist Church, or the charity of your choice. The family greatly appreciates the excellent and loving care provided for Lemuel by the staff at Innisfree Nursing Center, and by the staff at Mercy Hospital.